I just found out that my flash fiction, The Harvestman, will be included in an upcoming anthology by WaPD. Along with a whole bunch of other creepy stories. And believe me, if WaPD does ANYthing well, it’s creepy…..
Look for it this fall! This entry was posted in Flash fiction, News, Uncategorized and tagged anthology, horror, writing on March 18, 2019 by Chris Benedict. I wrote this short scene for a writing prompt, to imagine one of my fictional characters going to camp. Wendy Walsh is the main character in Fairy-kissed, a novel I’m currently polishing. Read the whole thing here at Wendy goes camping. This entry was posted in Flash fiction, Writing projects and tagged Fantasy, short story on March 10, 2019 by Chris Benedict. My grandmother loved Christmas, and she also loved cardinals. Where I grew up in central Illinois, they were everywhere. Bright red birds with a jaunty crest, that lived alongside the chickadees and blue-jays and nuthatches in the woods behind my house. Bright as holly berries or blood-drops against the snowy winter-land, they showed up on her Christmas cards as a constant reminder of her love for us. 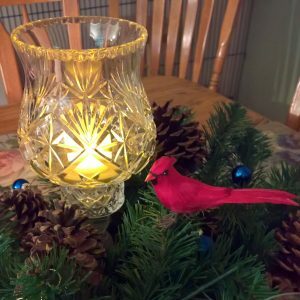 And so, this Midwinter (our first in this new house), I found a cardinal to add to our Yule decorations. We’ve survived the moving process (barely! ), but like the winter-laden land around us, all is quiet. The darkness is like a blanket around us as we wait for the winter solstice, when the sun turns around and the days begin to grow longer. Spring will come, and the world will wake and bloom with riots of color. But until then, the candle’s steady glow and the bright bird of promise keep us warm as we rest and recover. 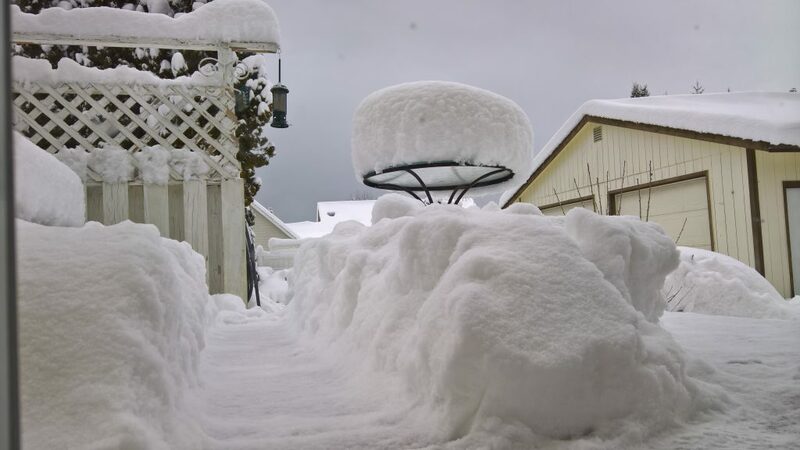 This entry was posted in Contemplations and tagged Washington, Winter on December 17, 2018 by Chris Benedict. 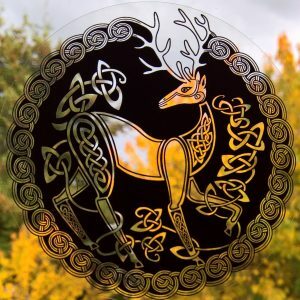 Holiday Anthology goes on sale! Another fine anthology in the Writers, Poets, and Deviants collection. 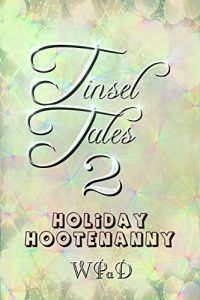 This book features twisted holiday tales — inside, you will find more than just Christmas stories. 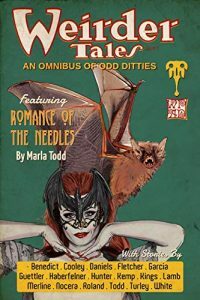 WPaD is proud to present our favorite fiction from holidays all year round, from Halloween to Arbor Day, ranging from sentimental to a bit on the dark side. An entertaining read for any season. My contribution is a horrifying little tale from the darkside, titled Krampusnacht. You can’t run from a guilty conscience. Krampus will always find you. I have to admit, trying to write a holiday story was tough for me. Maybe because I’ve never been a big fan of the super-sweet stories that abound during this season. I have nothing against the holidays, I enjoy the renewed companionship of family and friends as much as the next person. But it’s just not my style for storytelling. So this is not any sort of typical, heartwarming tale of magic and gifts and coming home. It’s the dark side of the coin — a cautionary tale against caring too much about oneself and not enough for others. Krampus, after all, is said to kidnap and punish naughty children. This entry was posted in News, Stuff to purchase and tagged anthology, short story, weird tales on October 13, 2018 by Chris Benedict. A new book of short stories by WPaD is out, and it features two more of my stories. The first is titled “Collect Lucky Treasure”. Two friends play a friendly game of AD&D. But when they decide to go for the special bonus treasure, they flip the lucky golden coin and get more adventure than they bargained for. The second is a short piece title simply “Jim” that I wrote in response to a flash fiction writing prompt. What would you do if you got a postcard from a friend whose funeral you attended just last week? Check out these and more stories, available from Amazon. This entry was posted in News, Stuff to purchase and tagged anthology, Fantasy, short story, weird tales on October 6, 2018 by Chris Benedict. Spending a few months moving to the new place, which means that not much writing is going to get done for a while. I hope to be all finished and back in gear for a big editing push in November. Meanwhile, we have a gorgeous commute by ferry between the old place and the new. 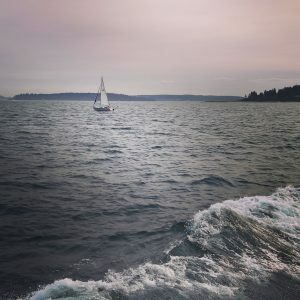 This is a sailboat on Puget Sound. 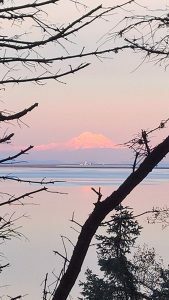 This entry was posted in Contemplations and tagged Washington on August 13, 2018 by Chris Benedict. 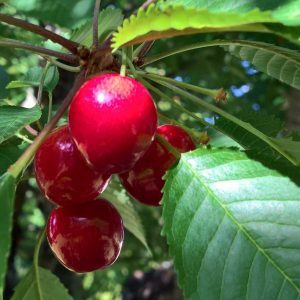 Cherries for breakfast is totally a thing now. And maybe some for lunch, with cheddar cheese. And then a handful for an afternoon snack… and dessert after dinner… Whenever I run out I go pick some more. What the heck, they won’t last forever; and once they’re gone, that’s it until next year. I kind of like it that way. Cherries all day every day, just like any good thing, could get old eventually. This entry was posted in Contemplations and tagged Gardening, Washington on July 17, 2018 by Chris Benedict.